Nigeria striker Emmanuel Emenike has been linked with a return to former Turkish club Karabukspor following the end of his loan spell at Premier League club West Ham. The 29-year-old Emenike still has a contract with Fenerbahce but it remains unlikely that he will go back to the club, meaning he may have to look for opportunities elsewhere. Karabukspor, one of his old clubs, are interested in having him back, according to sporx.com. They have won promotion back to the top flight in Turkey. 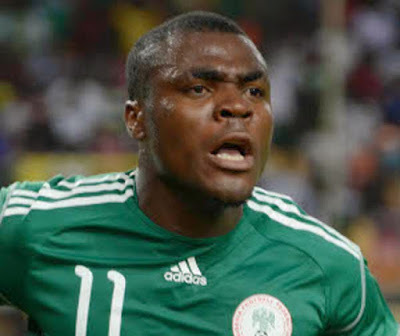 Emenike played for the club between 2009 and 2011 and scored 30 goals in 51 appearances, before he left them to join Fenerbahce. He also spent time in the UAE on loan at Al Ain, but left there before the end of the loan deal to be snapped up by West Ham.